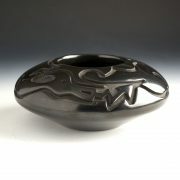 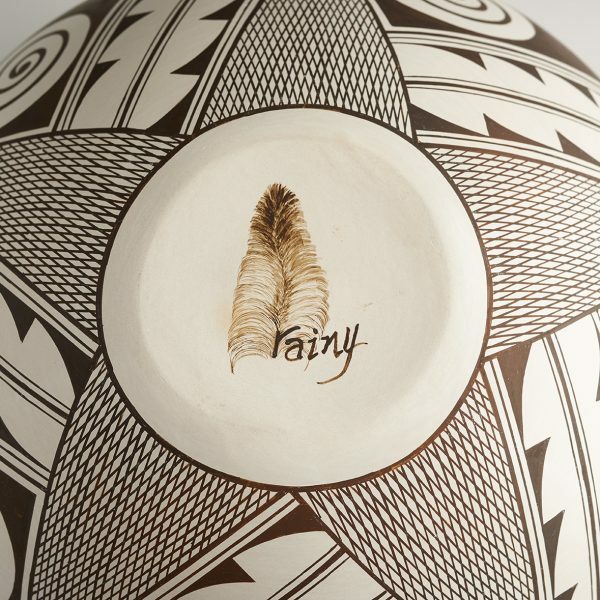 This is a very large hand coiled and traditionally fired bowl by Rainy Naha. Her designs are painted using natural clay slips. 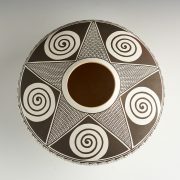 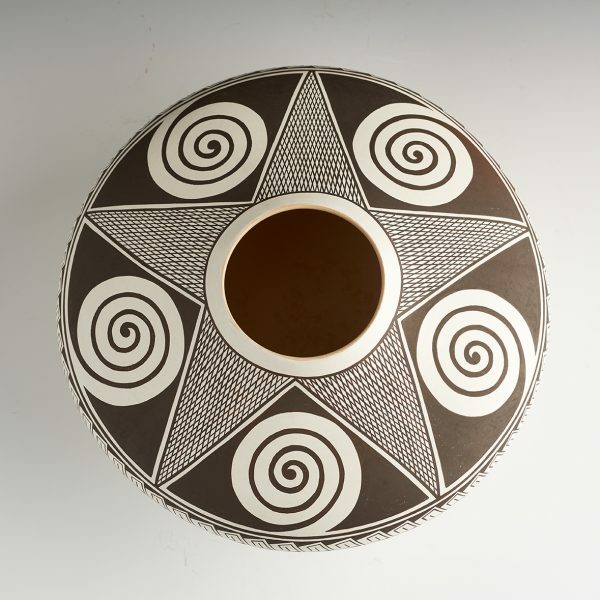 Her mother, Helen Naha, was well known for painting this particular pattern referred to as the Awatovi star pattern. 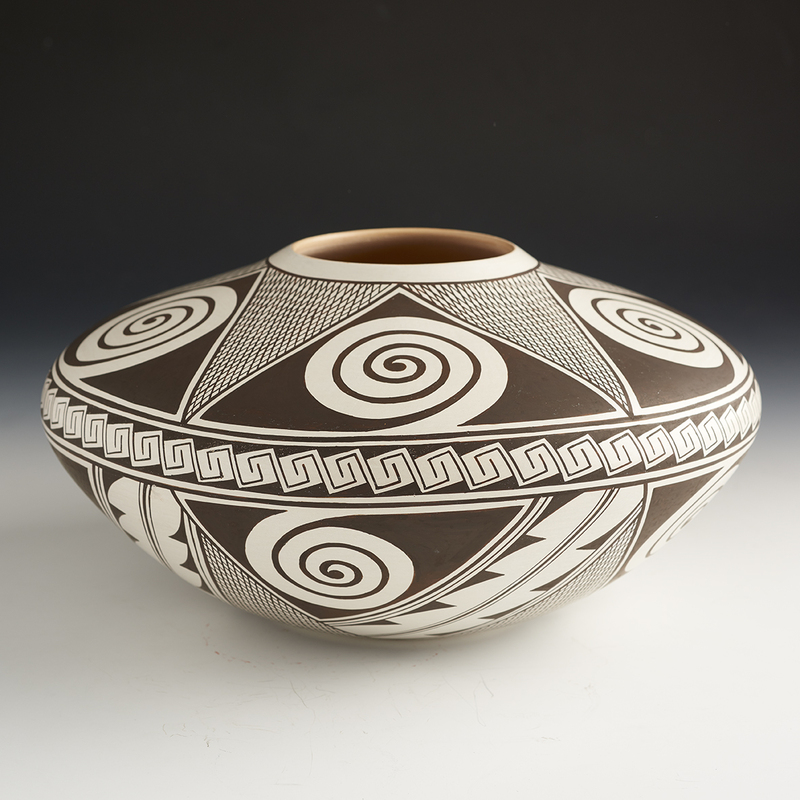 Awatovi is one of the ruins near Hopi where a white slipped style of pottery was made. 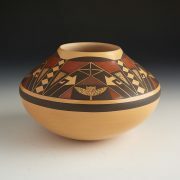 The bowl has the Awatovi star painted on the top and the bottom of the piece. On the top the star is surrounded by cloud swirls. 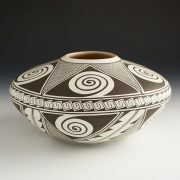 On the bottom are river designs. 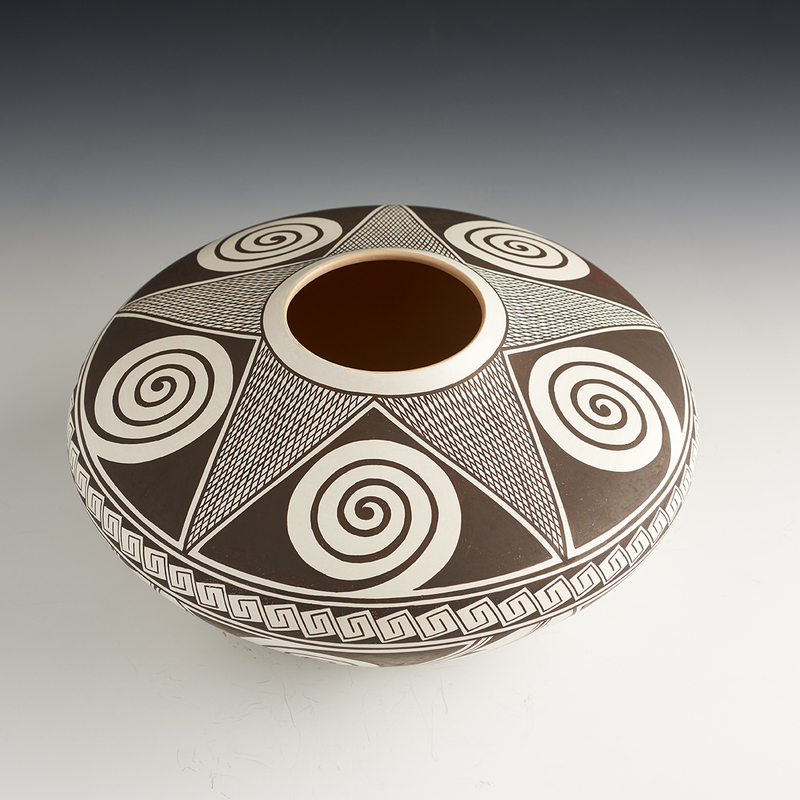 It is tightly painted using bee-weed (black) on a white kaolin clay surface. 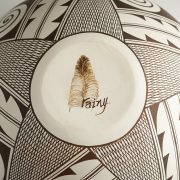 Rainy signs on the bottom with the traditional feather hallmark used by her mom and then adds her first name. 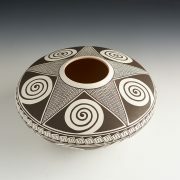 This wide bowl shows detail, precision, sharp lines, and thin walls. It is beautiful and classic.